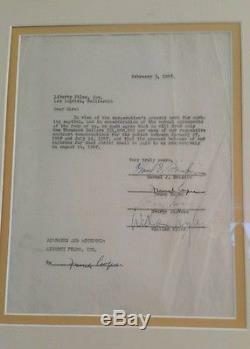 This is the original contract from Liberty Films, the company that made IT'S A WONDERFUL LIFE. 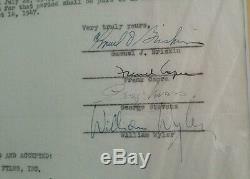 It is signed by the four famous directors, Frank Capra. William Wyler, George Stevens and Samuel J. Three of which were recently featured on the documentary, Five Came Back on Netflix. An amazing 3 piece documentary on Hollywood that also featured John Ford. 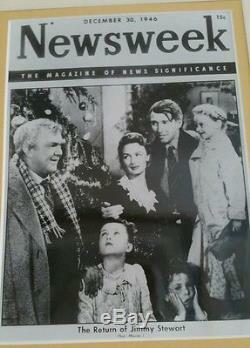 The booklet describes the company and there is an original Lobby card and a picture of the Newsweek cover when premiered. Even a Zerox copy of the script. This will be the last time because I can't keep doing this. 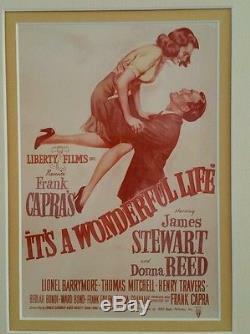 The item "It's A Wonderful Life Original Movie Contract" is in sale since Sunday, November 13, 2016. 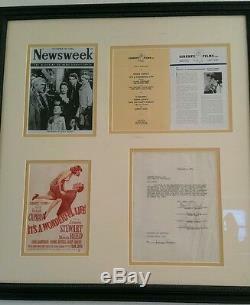 This item is in the category "Entertainment Memorabilia\Movie Memorabilia\Posters\Originals-United States\1940-49". The seller is "kriscapra1" and is located in Woodland Hills, California. This item can be shipped to United States.